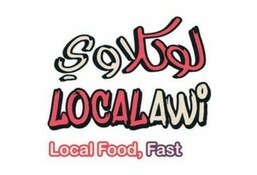 Localawi is currently closed for delivery and it will open at 09:00 AM today . A Traditional Emarati Bread With Cheese. A Traditional Sweet Flatbread With Honey And Cheese. 3 Eyed Freshly Pan Fried Eggs Served With Regag Bread. Thin Pancake With Fish Sauce. A Traditional Emarati Bread With Cheese And Honey. Served With Special Karak Tea. Boiled Chick Peas With Red Round Chill. Beans Cooked With Arabic Spices Topped With Lemon. Halloumi Cheese With Tomato, Green&Black Olives, Green Capsicum And Mushroom In Regag Bread. Beef, Onion, Lettuce, Tomatowith Sumac In Khameer Bread. Marinated Fresh Chicken Breast Mixed With Lettuce, Capsicum, Onion In Khameer Bread With Fesh Fries. Vegetable&Cheese Samosa With Tomato Lettuce In Regag Bread. Shrimps, Lettuce In Regag Bread. Vegetables Samosa With Localawi Sauce In Samoon Bread. Samosa Leaf Stuffed With Mix Of Seasonal Vegetables. Fried Samosa Leaf Filled With Creamy Kraft Cheese. Traditional Dish Of Wheat Mixed With Meat. Golden Ball Made With Flour, Yeast&Milk Powder Coated By Date Syrup&Sesame Seeds. Pumpkin Pudding With Saffron & Cinnamon. Sweet Dates Puree With Cardamom, Sugar&Topped With GheeΝts. Tapioce Pudding With Ghee, Sugar&Cardamom. Traditional Sweet Made From Date Paste, Flour, Caradamom&Ghee. Traditional Sweet Made From Carameled Dates, Wheat& Sugar With Chopped Walnut. Semolina, Turmeric, Cardamom, Saffron, Butter&Milk. Sweet Made From Fresh Milk Butter. Rice Pudding Topped With SaffronΝts. Flour, Sugar, Dates Paste, Cardamom&Pure Ghee, Served With Crushed Nuts&Date Syrup Topping. Baked Dates Topped With Dark Roux&Decorated With Cinnamon&Powdered Pistachio. Doughnut Made With Rice Powder, Semolina, Saffron With Milk Powder With Dates Syrup On Side. Three Sweets Of Your Choice. Cranberry Syrup, Beetroot Smoothie, Lime Juice&Ginger Ale. Ginger Syrup, Fresh Lime Juice, Tonic Water&Fresh Mint Leaves. Mixed Saffron Syrup, Lime Juice, Pineapple Juice&Aplle Juice. Mixed Lime Cordial Mixer, Pomegranate Juice Mixer&Ginger Ale. Mixed Caramel Syrup, Pineapple Juice, Cranberry Juice&Ginger Ale. Blue Curacao, Caramel Syrup, Bleberry Juice&Soya Milk. Vimto Syrup, Grenadine Syrup, Lime Juice&7-Up. Mixed Fresh Banana, Passion Fruit, Yoghurt. Mixed Baby Spinach, Kale&Fresh Milk. Mixed Prach,. Bluberry, Raspberry, Mango, Pineapple, Yoghurt, Honey&Fresh Milk.